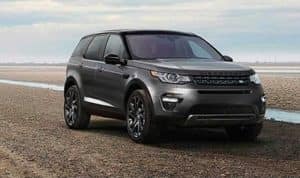 The Land Rover Range Rover is the largest and most luxurious SUV in the Range Rover family, ideal for upgrading your Dallas-Fort Worth drives. Browse our inventory to find a new Range Rover for sale in DFW, then visit your local authorized Land Rover to experience this model in person! Rosello Red Metallic 2019 Land Rover Range Rover 3.0L V6 Supercharged HSE 4WD ZF 8-Speed Automatic 3.0L V6 Supercharged Ivory/Espr/Ivory/Ivory Leather. 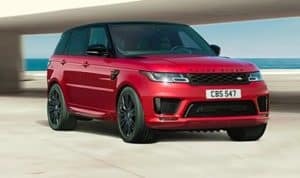 BLACK 2019 Land Rover Range Rover 3.0L V6 Supercharged 4WD ZF 8-Speed Automatic 3.0L V6 Supercharged Tkn/ Leather. Santorini Black Metallic 2019 Land Rover Range Rover 3.0L V6 Supercharged HSE 4WD ZF 8-Speed Automatic 3.0L V6 Supercharged Tou/ Leather. 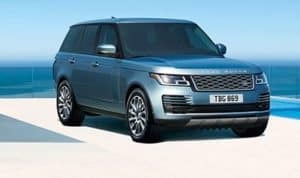 Loire Blue Metallic 2019 Land Rover Range Rover 3.0L V6 Supercharged HSE 4WD ZF 8-Speed Automatic 3.0L V6 Supercharged Almond/Espr/Alm/Ivory Leather. Santorini Black Metallic 2019 Land Rover Range Rover 3.0L V6 Supercharged HSE 4WD ZF 8-Speed Automatic 3.0L V6 Supercharged Tot/ Leather. Carpathian Grey Premium Metallic 2019 Land Rover Range Rover 3.0L V6 Supercharged HSE 4WD ZF 8-Speed Automatic 3.0L V6 Supercharged Ebony/Ebony/Ivory/Ebony Leather. Recent Arrival! Santorini Black Metallic 2019 Land Rover Range Rover 5.0L V8 Supercharged LWB 4WD ZF 8-Speed Automatic 5.0L V8 Supercharged Tou/ Leather. Recent Arrival! Gray 2019 Land Rover Range Rover 5.0L V8 Supercharged LWB 4WD ZF 8-Speed Automatic 5.0L V8 Supercharged Ivory/Ebony/Ivory/Ebony Leather. 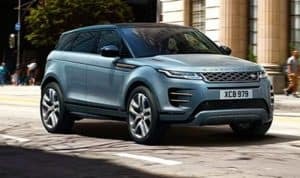 Indus Silver Metallic 2019 Land Rover Range Rover 3.0L V6 Supercharged HSE 4WD ZF 8-Speed Automatic 3.0L V6 Supercharged Tmq/ Leather. Loire Blue Metallic 2019 Land Rover Range Rover 3.0L V6 Supercharged HSE 4WD ZF 8-Speed Automatic 3.0L V6 Supercharged Espresso/Espr/Alm/Ivory Leather. Indus Silver Metallic 2019 Land Rover Range Rover 5.0L V8 Supercharged LWB 4WD ZF 8-Speed Automatic 5.0L V8 Supercharged Ebony/Ebony/Ivory/Ivory Leather. Recent Arrival! Corris Grey Metallic 2019 Land Rover Range Rover 3.0L V6 Supercharged HSE 4WD ZF 8-Speed Automatic 3.0L V6 Supercharged Almond/Espr/Alm/Ivory Leather. Recent Arrival! Corris Grey Metallic 2019 Land Rover Range Rover 5.0L V8 Supercharged 4WD ZF 8-Speed Automatic 5.0L V8 Supercharged Tou/ Leather. Recent Arrival! Santorini Black Metallic 2019 Land Rover Range Rover 5.0L V8 Supercharged 4WD ZF 8-Speed Automatic 5.0L V8 Supercharged Tou/ Leather. Recent Arrival! Santorini Black Metallic 2019 Land Rover Range Rover 5.0L V8 Supercharged 4WD ZF 8-Speed Automatic 5.0L V8 Supercharged Sbl/ Leather. Recent Arrival! Santorini Black Metallic 2019 Land Rover Range Rover 3.0L V6 Supercharged HSE 4WD ZF 8-Speed Automatic 3.0L V6 Supercharged Ivory/Ebony/Ivory/Ivory Leather. Recent Arrival! 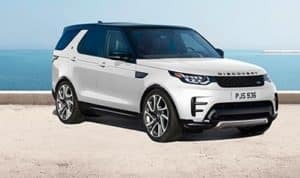 Aruba Premium Metallic 2019 Land Rover Range Rover 3.0L V6 Supercharged HSE 4WD ZF 8-Speed Automatic 3.0L V6 Supercharged Ivory/Espr/Ivory/Ivory Leather. Byron Blue Metallic 2019 Land Rover Range Rover 5.0L V8 Supercharged 4WD ZF 8-Speed Automatic 5.0L V8 Supercharged Ivory/Navy/Ivory/Ivory Leather. Corris Grey Metallic 2019 Land Rover Range Rover 3.0L V6 Supercharged HSE 4WD ZF 8-Speed Automatic 3.0L V6 Supercharged Tmj/ Leather. 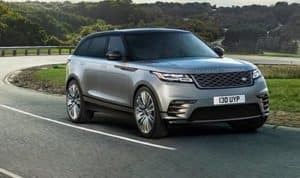 Silver 2019 Land Rover Range Rover 5.0L V8 Supercharged 4WD ZF 8-Speed Automatic 5.0L V8 Supercharged Ebony/Ebony/Ebony/Ebony Leather. 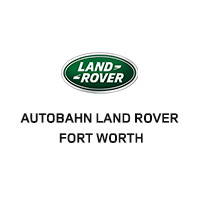 When you are ready to experience a Range Rover in person, schedule a test drive at Autobahn Land Rover Fort Worth! To explore more of your luxury SUV options, compare the Range Rover vs. Range Rover Sport!